It’s ya boy Eazi, but not just with his self-established banku music releases (a music fusion he describes as “Ghanaian bounces, Ghanaian highlife, Nigerian chord progressions, and Nigerian patterns”) we have come to love and admire. London’s Camden Roundhouse will soon be transformed into an immersive Afrobeats festival, in the form of Life Is Eazi Culture Fest on Saturday 23 September. From Accra, to Lagos, to London… we are all invited. Life is Eazi Culture Fest is designed to showcase some of the original elements of the afrobeats sound – art, fashion, dance and music – this one night afrobeats extravaganza, is a must for any African music lover. Mr Eazi is the first artist, certainly of this generation, to conquer both Nigeria and Ghana sonically, infusing both styles successfully, is totally unprecedented. The energy of Nigeria mixed with the easy going vibes from Ghanaian life and their combined feel-good approach to music, comes together perfectly in his catalogue, both countries under one sound. Music isn’t Eazi’s only way of putting Africa on the map, Nigeria and Ghana specifically. His style is very unapologetically African, with the most eye-catching and arresting, statement pieces ever seen. For example, I am sure Mr Eazi is the only person with a custom suit made entirely from “Ghana Must Go” bags – a large, woven, plastic bag, used when the Nigerian government asked all of the Ghanaian settlers to leave the country. 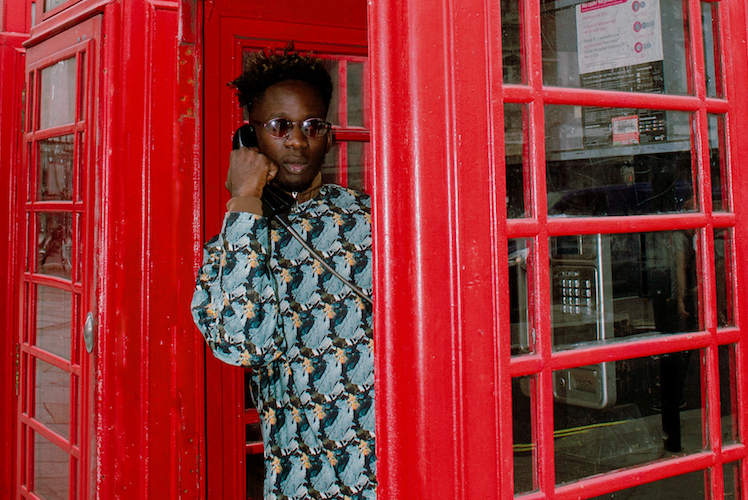 The mix of contemporary streetwear and traditional African pieces, such as his signature straw hat (from the Ashanti region of Ghana) makes Mr Eazi somewhat of a style icon, already landing him in Vogue magazine. His Ukrainian fans seem to also love his style and have somehow adopted the straw hats, worn in great numbers to his show there. “It’s new. It’s a vibe. I’ve only been able to do Ukraine, because I have been swamped doing everywhere else, but it was crazy!” Eazi said, when asked about his time there. Speaking on one of the main attraction full west African experience, Mr Eazi refused to answer my question about Nigerian jollof vs Ghanaian jollof and instead just laughed. However, his points on the unification of Africa and the diaspora, in terms of recent infighting over terms like, “afro-bashment”/ dancehall infused afrobeats were very succinct. “I think music is music. No one really owns anything, because we all borrow influences at the end of the day. Let’s just make music that is cultural to us and spread it worldwide like reggae.” With reggae music being very popular in Ghana, this is also noticeable in Eazi’s style and sound. From the red, yellow and green accents on his clothing to ‘Skin Tight’ being warmly embraced by the reggae and dancehall communities, Mr Eazi continues to unite different fractions of the globe one step at a time. Tickets for Life is Eazi are available to purchase here.